We meet every Monday in the Stirling Hall 2.00 - 4.00 p.m. to enjoy good company and chat while working at our crafts. At the moment we are mostly knitting and crocheting, having finished making Decoupage Christmas cards, but you can bring along whatever you like to do. We are willing to teach and learn. All welcome. One of our Ladies heard about it and got the pattern for the jumper. 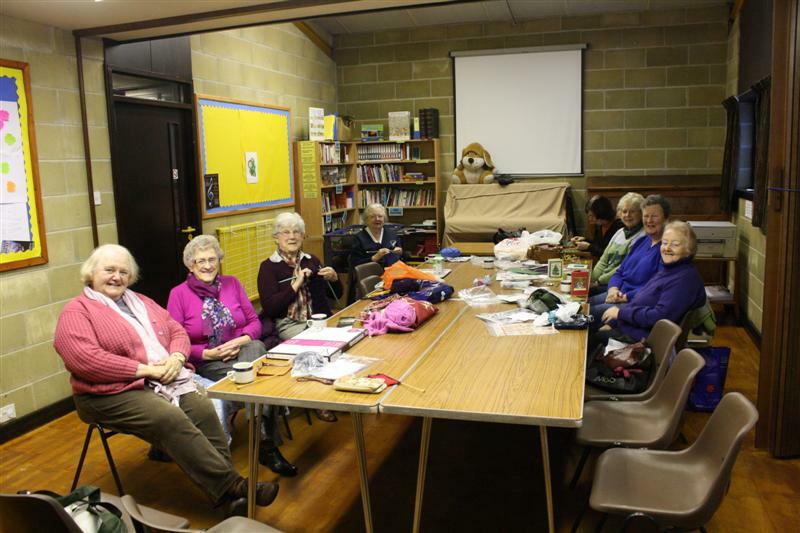 It spread round the table at the Hobbies group and now we have our knitters busily making the jumpers. We’d like to thank the church for putting the photo copier in the small hall as we were able to give everyone a pattern to take home with them. If you would like a copy of the pattern and more information please contact Louise.